Tanner Tully turned in five scoreless innings in his Advanced-A debut and struck out four during that time, but a four-run sixth inning sent Potomac on its way to a 5-2 win at Pfitzner Stadium Monday night. Lynchburg scored the first run of the game in the top of the sixth inning when Gavin Collins hit a double and came home on an RBI groundout by Jodd Carter. However, the Nationals answered with four runs on four hits in the home half, which included Daniel Johnson and Ian Sagdal. Ivan Castillo had an infield single in the seventh and eventually scored on a wild pitch to cut the deficit to 4-2, but Potomac restored its three-run margin on an RBI single by Ian Sagdal. Tanner Tully (0-1) finished with five-plus innings on the mound after facing four batters in the sixth. All of them came around to score, although one of them was unearned. He struck out four and walked one on 89 pitches. Austen Williams (2-3) earned the win by holding Lynchburg to one run in six innings. R.C. Orlan tossed the final three frames to notch a save. 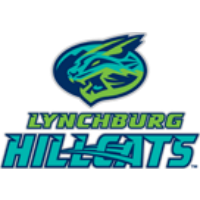 The Hillcats return to Pfitzner Stadium Tuesday at 7:05 p.m. Aaron Civale (5-2, 3.02) will start for Lynchburg, and fans can listen to the game live at www.lynchburg-hillcats.com.